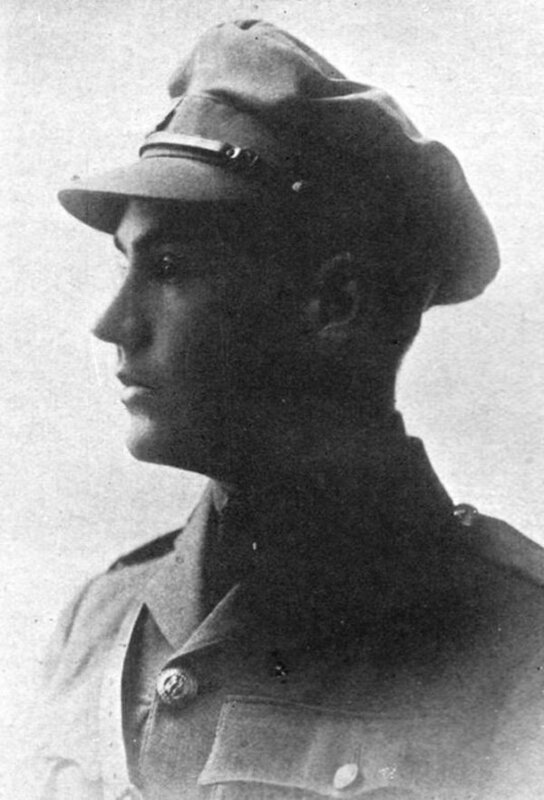 Photo of Donald Ryerson MacDonald – Lt. Donald Ryerson MacDonald, 18th Battalion, Royal Canadian Regiment Killed in action August 16, 1917, at 19 years of age. Born in Toronto, MacDonald was one of Appleby’s original students, having followed founding Headmaster John Guest from Upper Canada College. He played on the First Rugby (Football), Hockey and Cricket teams, won the Victor Ludorum Trophy in 1915, and earned admission to the University of Toronto. He was commissioned a Lieutenant in the Thirty-fourth Regiment, Canadian Militia, but reverted to the ranks twice in an effort to reach France. On arrival in England he was promised a commission in the Surrey Regiment; he took his course, but could not be gazetted because he was under age. He went to France as a private soldier in the Trench Mortar Battery of the Fourth Brigade, and after nine months in the trenches, was promoted Lieutenant in the field. He was killed by a bomb while reconnoitering ground in front of a newly-won position in the outskirts of Lens. Memorial Tablet – Lieutenant Donald Ryerson MacDonald. Name is remembered on this brass Memorial Tablet. 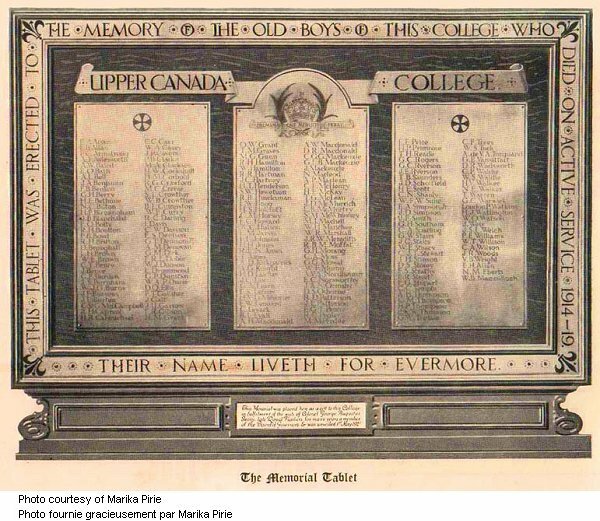 It was unveiled on May 1, 1921 in memory of Upper Canada College students who died on active service during the First World War. Upper Canada College is located in Toronto, Ontario. Lieut. 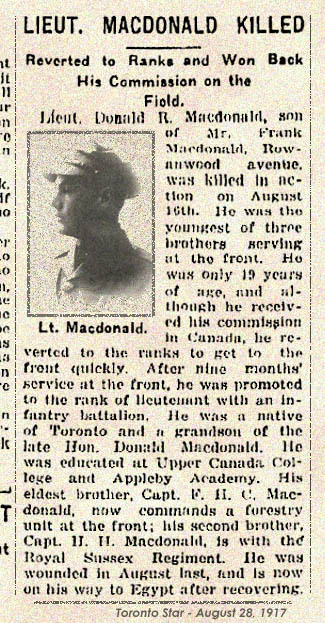 Donald R. Macdonald (sic), son of Mr. Frank MacDonald, Rowanwood avenue, was killed in action on August 16th. He his the youngest of three brothers serving at the front. He was only 19 years of age, and although he received his commission in Canada, he reverted to the ranks to get to the front quickly. After nine months’ service at the front, he was promoted to the rank of lieutenant with an infantry battalion. He was a native of Toronto and a grandson of the the late Hon. Donald MacDonald. He was educated at Upper Canada College and Appleby Academy. His eldest brother, Capt. F. H.C. MacDonald now commands a forestry unit at the front; his second brother, Capt. H.H. MacDonald, is with the Royal Sussex Regiment. He was wounded in August last, and is now on his way to Egypt after recovering. Source: Toronto Star – August 28, 1917. 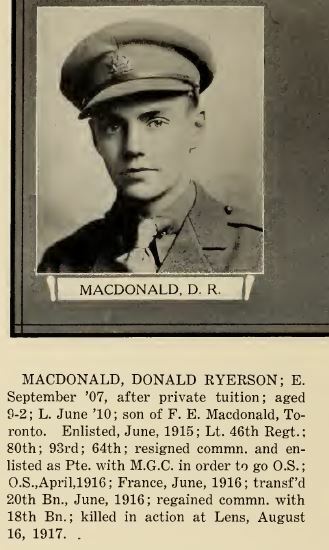 Via CVWM and Maria Pirie Photo of Donald Ryerson Macdonald – From The War Book of Upper Canada College, edited by Archibald Hope Young, Toronto, 1923. 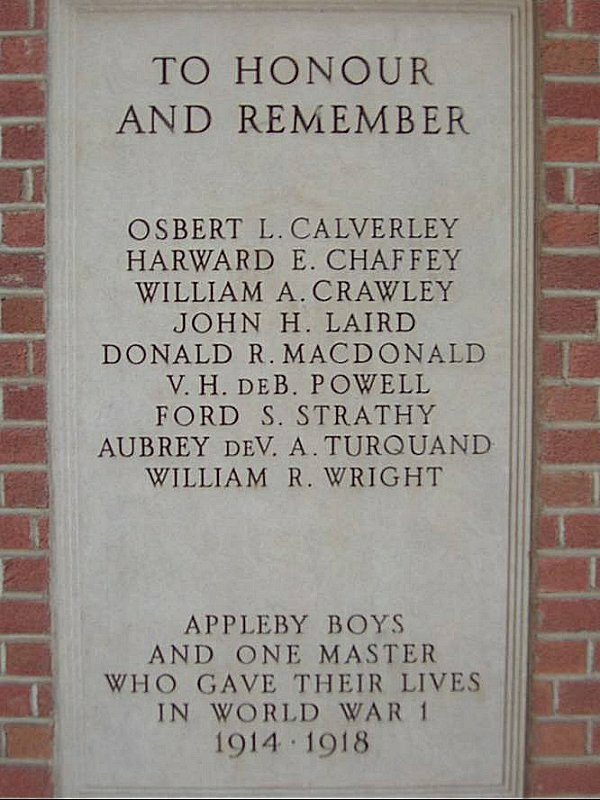 This book is a Roll of Honour including former students who served during the First World War. MACDONALD, DONALD RYERSON; E. September ’07, after private tuition; aged 9-2; L. June ’10; son of F.E. Macdonald, Toronto. 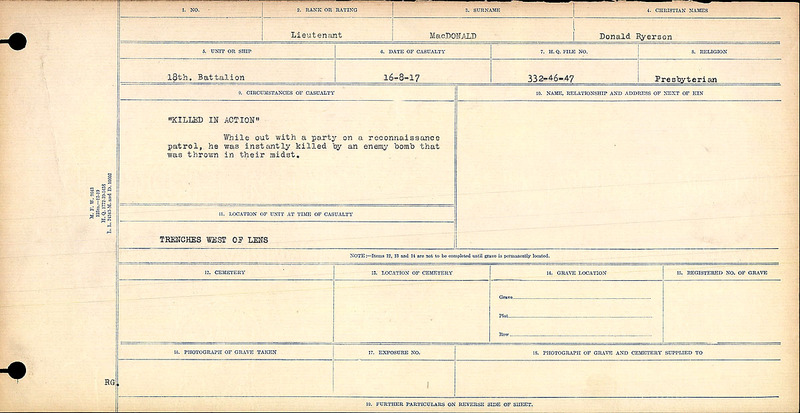 Enlisted, June 1915; Lt. 46th Regt. ; 80th; 93rd;64th; resigned commn. and enlisted as Pte. with M.G.C. in order to go O.S. ; O.S., April, 1916; France, June, 1916; transf’d 20th Bn., June, 1916; regained commn. with 18th Bn. ; killed in action at Lens, August 16, 1917. C & D in Front Line. [i] This is the first instance of a recorded friendly fire incident in the War Diary. “KILLED IN ACTION” While out with a party on a reconnaissance patrol, he was instantly killed by an enemy bomb that was thrown in their midst.